Making a story social isn't all about marketing. It's also about helping to build a better narrative – extending and enriching the story, whether your story is driven by a fictional character or a brand. We'll examine current examples of advertising, transmedia, brand fiction and branded content to determine what makes stories work for today's social audiences--and what makes them fail. Helen spent 20+ years as a writer/creative director at top ad agencies like FCB, TBWAChiatDay and Ogilvy. She’s been playing in the social media sandbox since 2007 when she created AdBroad, an award-winning blog with over 9000 followers from the advertising and digital marketing communities. 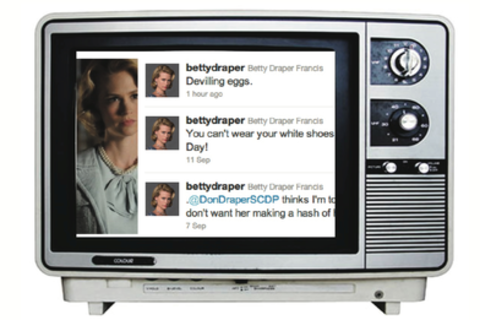 In 2008, she brought several characters from AMC's drama "Mad Men" onto twitter. Her work as @BettyDraper has attracted 30,000 followers, a Shorty (Twitter) award and press coverage in Time and the Wall Street Journal. She founded Brand Fiction Factory to help brands extend their stories into digital space via cross-platform and staged the first “twepisode”--a unique way to turn fan content into narrative, available on youtube. Helen is an avid speaker on social media creative around the country. Recent engagements include Digital Hollywood and a guest lecture at Duke University. Her fiction and essays have been published by the New York Times, numerous magazines and obscure literary journals. Her 500-word stories have twice won first place in Mid-American Review’s annual competition for "Prose Poems, Short Shorts, and Everything in Between."